To further support my claim that Italians have impeccable taste, not that you would disagree, I submit La Tur cheese for your consideration. Hailing from the Piemonte region, the creamy cheese is a blend of three milks: sheep, cow and goat. That fact alone makes it an interesting addition to a well planned cheese plate. 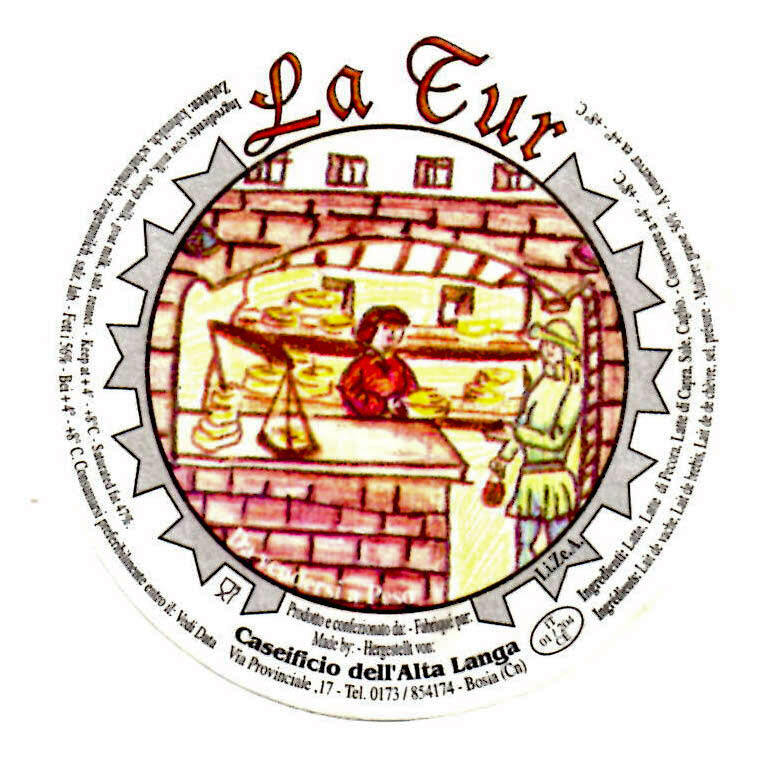 The buttery consistency will lead the mind to free associate with brie, but La Tur's flavor is more complex, providing a hint of pleasant pungency. La Tur is aged briefly, about two to four weeks. The young cheese likes to play nicely with other foods across a broad range of flavors from cured meats to sweet or savory preserves to an array of pickles. Naturally, fresh or dried fruits and nuts - candied, spiced or plain - can be a first rate supporting cast to the star of the show. Faced with so many alluring options, you can feel confident serving La Tur as a component in just about any combination of appetizers, especially artfully stylized antipasti trays. Plus you'll get some well deserved adoration from your friends for introducing them to such a fantastic cheese. Smile sweetly and say thank you (or rather "grazie") and they'll wonder what other secrets you are keeping. 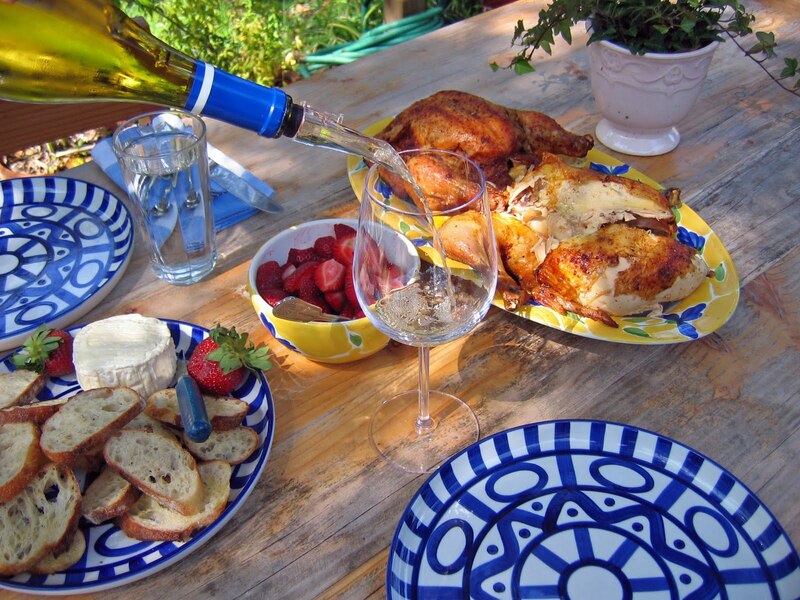 with La Tur, strawberries and roasted chicken. Holy cow, I go away for a week look what is waiting for me to read. Lots of new and well rehearsed recipes and ideas. Looks like some perfect summer salads and summer has indeed hit Mazatlan with wet rag. Most cosmos are a tad too sweet for me, so will try yours. Just back from Mexico City last night with a stop in Tequisquiapan for the national wine and cheese festival. I see why so many people consider Mexico City one of their favorite cities; right up there with Paris, New York, Rome and London. It rocks!!! Dear Zoe…the beautiful thing about making your own Cosmos is that you can adjust the sweet factor to suit your own taste by controlling the amount of Triple Sec.